The row centers on the question of whether the UK will meet the symbolic NATO commitment of spending two percent of GDP or opt to freeze military spending. It’s due to be discussed in the Commons on Thursday. The debate has become ever more fraught following accusations that FCO chief Hammond – who until recently led the MoD – said that defense is not a vote winner. Hammond aides deny the comments were made, but senior Tory figures have responded critically, pointing out the traditional Conservative commitment to defense and raising fears the issue could split the party going into the general election in May. Rory Stewart MP, Tory chair of the Defence Select Committee, told the Times Britain's status in the world is tied to its security. Sir Gerald Howarth MP, himself a former defense minister, told the Daily Mail that moving away from the party's traditional commitment to the military was risky. 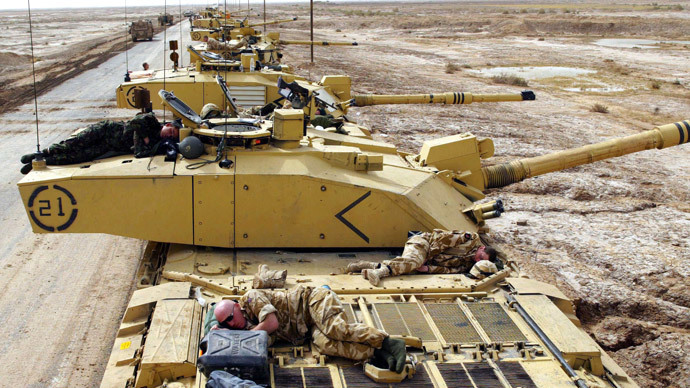 Last week, US Army Chief of Staff Raymond Odierno aired his concerns over UK defense cuts. Following on from the UK's Strategic Defence Spending Review, the Royal Navy and the Royal Air Force (RAF) are both preparing to lose 5,000 regulars and gain 500 reservists over the same period. Concerns have also been aired at the highest level of American civilian authority. During private meetings with Cameron in Washington in January, Obama said reducing spending levels from the current two percent of GDP would undermine NATO agreements.